The Metropolitan Transportation Commission's Operations Committee (a.k.a. the defacto Clipper Card Board of Directors) will be meeting this Friday to discuss about Clipper card matters. They will enhance the website to make it easier to use. If you log into your account, it's more streamlined. They will also introduce a mobile phone friendly website in the near future. Youth and seniors will be able to apply via mail instead of going to an in-person location. The Clipper card will be accepted at five San Francisco parking garages. The end of Clipper card cheats on BART when the exitfare machines at every BART station will be functional to add value to cards. This means passengers can't exit BART with a negative value on their card. Limited use tickets for social service agencies to distribute. Modifying Clipper's back end systems for more efficient and reliable processing. Preparing for expansion of program to smaller transit agencies not part of the current consortium. Working on long range plan for Clipper, including meeting with other transit agencies and other technology innovations. Lastly, the board is reviewing a possible change in state law regarding personal information stored for transit rides after a recent controversy of how long Clipper and MTC keeps rider information data. The law proposed in the legislature would make the maximum to six months. A lot of these goals they listed is pretty reasonable. They are already working on the website and a mobile version will be quite helpful. An Android and iPhone app would be great too. I believe the most significant change will be accepting the Clipper card at city parking garages. The only concern I have is how will this work; the problem is that Clipper card funding can be considered toxic if the e-cash purse is funded with pre-tax commuter dollars, therefore using it for parking, other than proper work transportation purposes is considered illegal. You can use pre-tax commuter dollars for parking. It's legal. Parking only for the use of commuting to/from work. For other use, such as parking at a city lot to go personal shopping, that's unlawful. I found out from a friend that clipper is now accepted in at least 2 garages near where he works. Does that mean they figured out the legal issues related to commuting? Yes, and it's quite simple: parking funds are kept separate from e-cash. 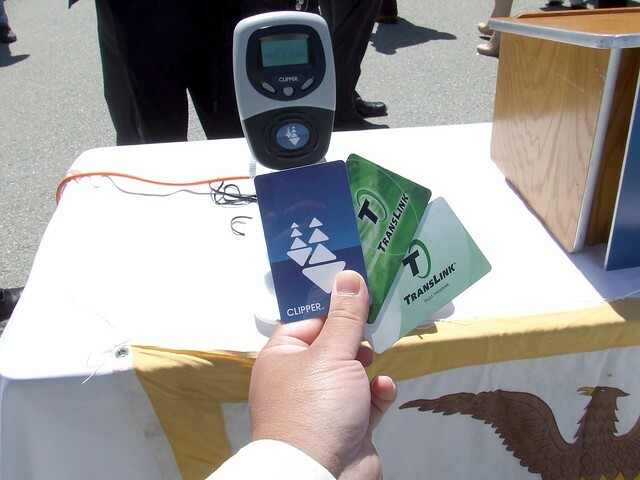 You can't use Clipper e-cash to pay for parking, or parking funds for transit.